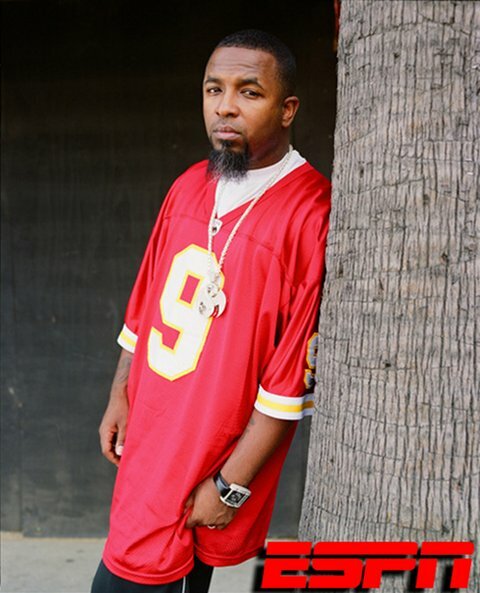 2013 marks a great year for two of Kansas City’s biggest sources of pride and joy, Tech N9ne and The Kansas City Chiefs. ESPN.com recently talked to The Kansas City King to get his perspective on the Chiefs near-miraculous turnaround from being a team that finished 2-14 at the end of last season to who are now the only undefeated team in the NFL at 8-0. Tech also shared his biggest fear, inspired by KC Chiefs’ safety Eric Berry’s (hilarious) fear of horses. Chiefs safety Eric Berry is afraid of horses. A problem when your team mascot is a real, live horse. What is Tech N9ne afraid of? Lightning. I’m a good guy. I have an angel heart. But something about lightning makes me duck. I don’t think I’ve done enough bad things in my life for anything to strike me down though. I’ve also had a phobia of knives because when I was younger I was cutting oranges and the knife fell on my foot. But something about lightning don’t sit well with me. I can deal with thunder, but not lightning. I’m always ducking. 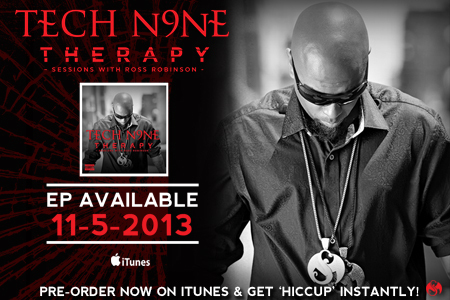 TECH N9NE’S THERAPY EP ON ITUNES!